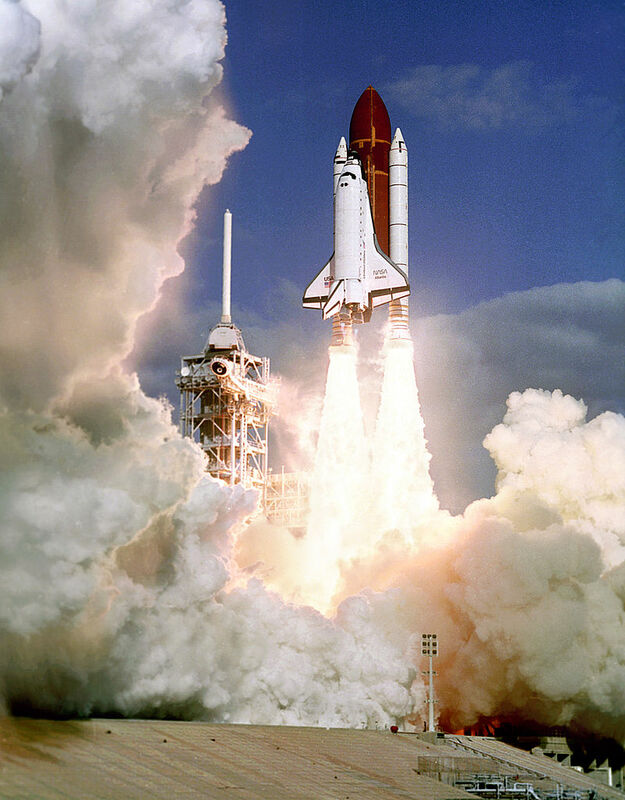 2 December 1988, 14:30:34 UTC: At 9:30 a.m., EST, Space Shuttle Atlantis (OV-104) launched from Pad 39B, Kennedy Space Center, Cape Canaveral, Florida, on mission STS-27. 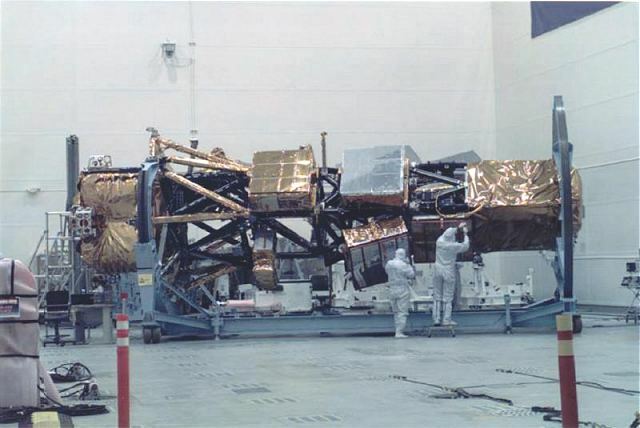 This was the deployment of the first of five Lockheed Martin Lacrosse I reconnaissance satellites, USA-34, for the U.S. National Reconnaissance Office and the Central Intelligence Agency. 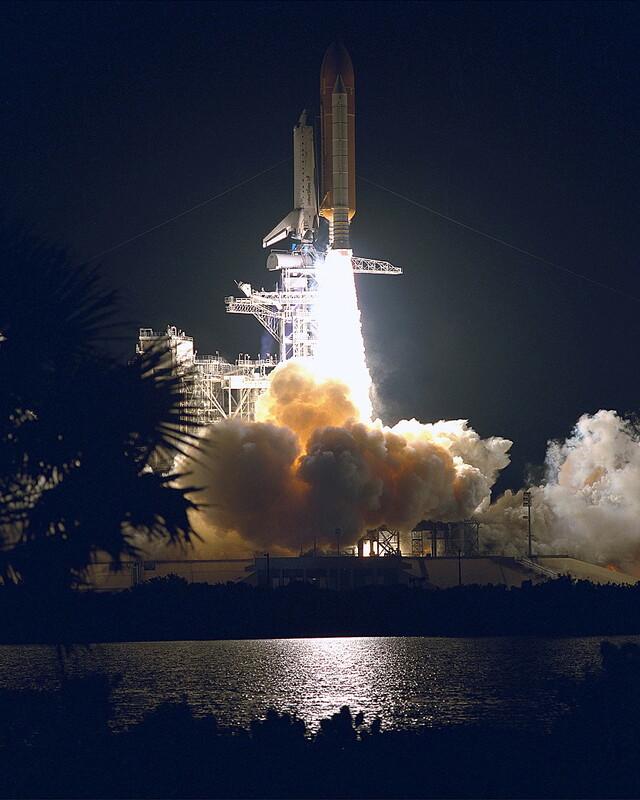 STS-27 was the third flight for Atlantis. It would eventually be flown 33 times. 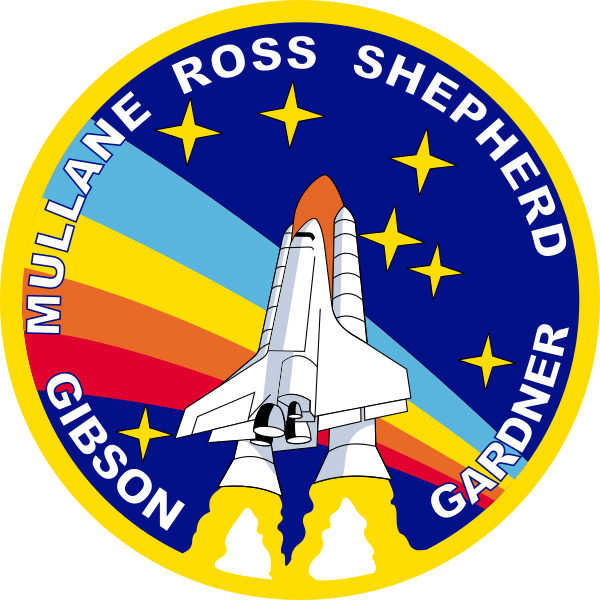 Space Transport System Flight STS-27 was commanded by Captain Robert Lee Gibson, United States Navy, with Colonel Guy S. Gardner, United States Air Force, as the shuttle pilot. Three mission specialists were aboard for the mission: Colonel Richard M. Mullane, USAF; Colonel Jerry L. Ross, USAF; and Captain William B. Shepherd, a United States Navy SEAL. Approximately 1 minute, 25 seconds after liftoff, insulating material from the right solid rocket booster (SRB) came off and struck the orbiter. The damage to the thermal tiles on the shuttle’s right side was extensive. More than 700 tiles were damaged and one was completely missing. This image is believed to be of a Lockheed Martin Lacrosse reconnaissance satellite. Two technicians give scale to the Lacrosse. 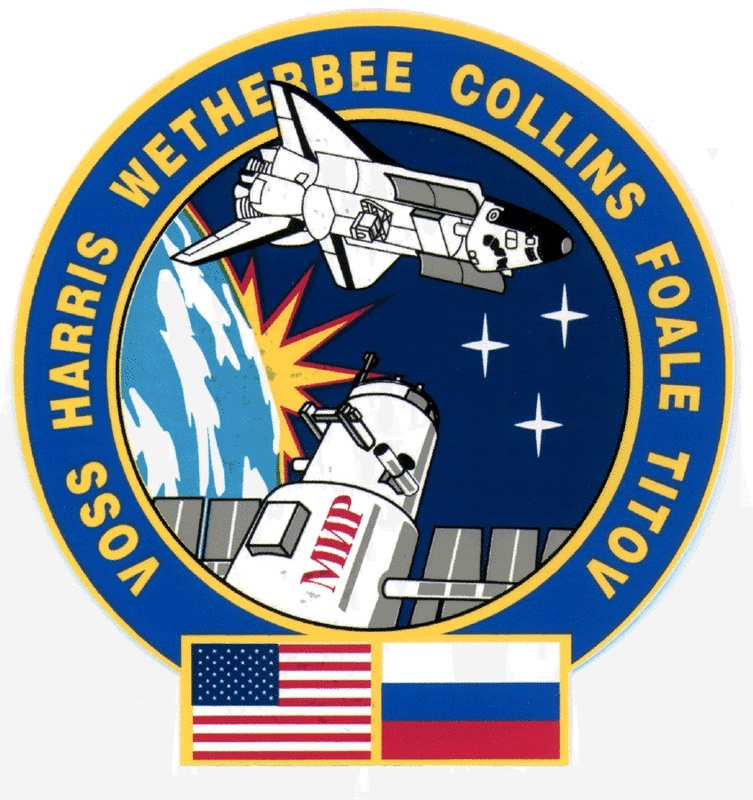 Atlantis completed 68 orbits during this mission. 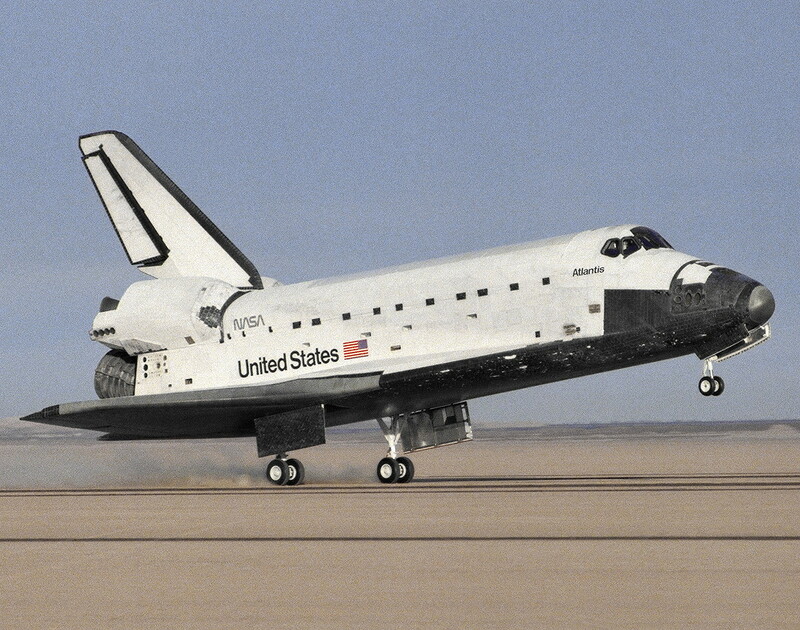 It landed on Runway 17, Edwards Air Force Base, California, 6 December 1988, at 23:36:11 UTC (4:36 p.m., PST). The duration of the flight was 4 days, 9 hours, 5 minutes, 37 seconds. 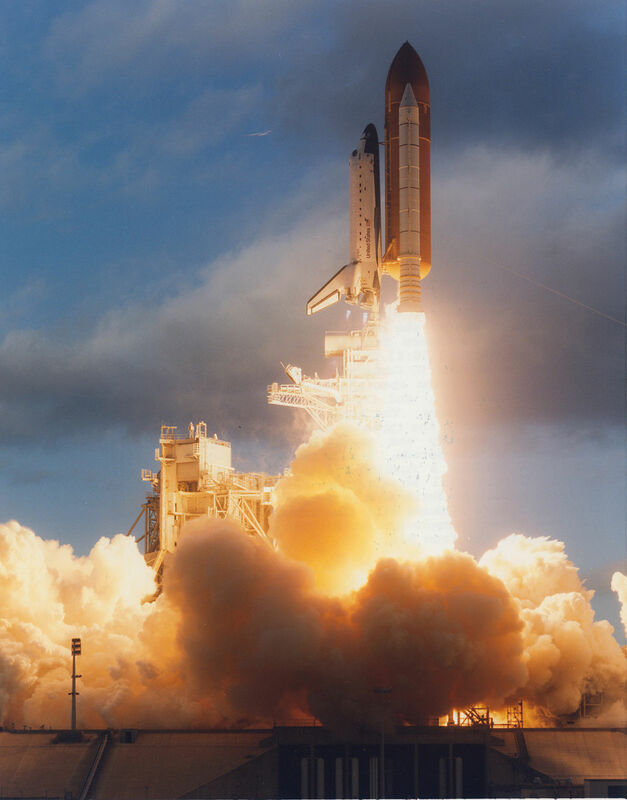 12 November 1995, 12:30:43.071 UTC, T minus Zero: Space Shuttle Atlantis (STS-74) is launched from Launch Complex 39A, Kennedy Space Center, Cape Canaveral, Florida. 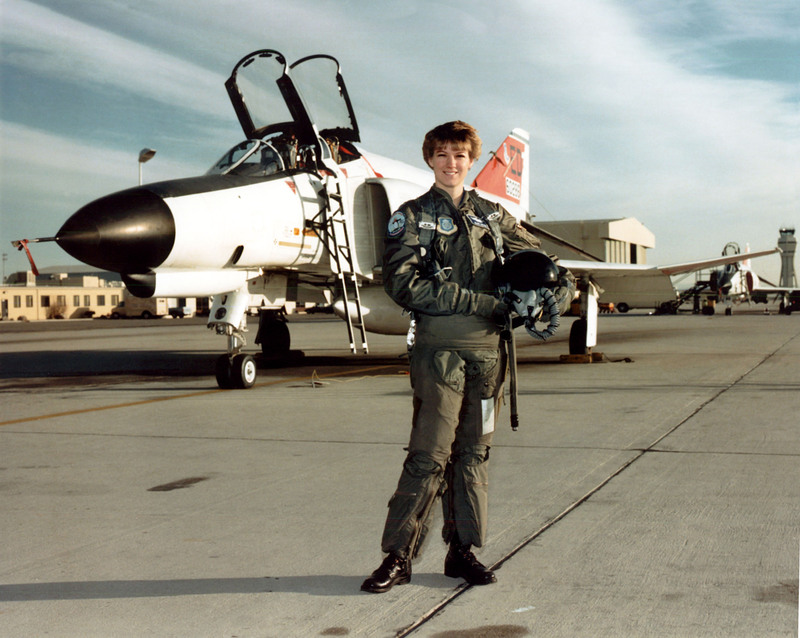 The mission commander was Colonel Kenneth Donald Cameron, United States Marine Corps, and Colonel James Donald Halsell, Jr., United States Air Force, was the shuttle pilot. 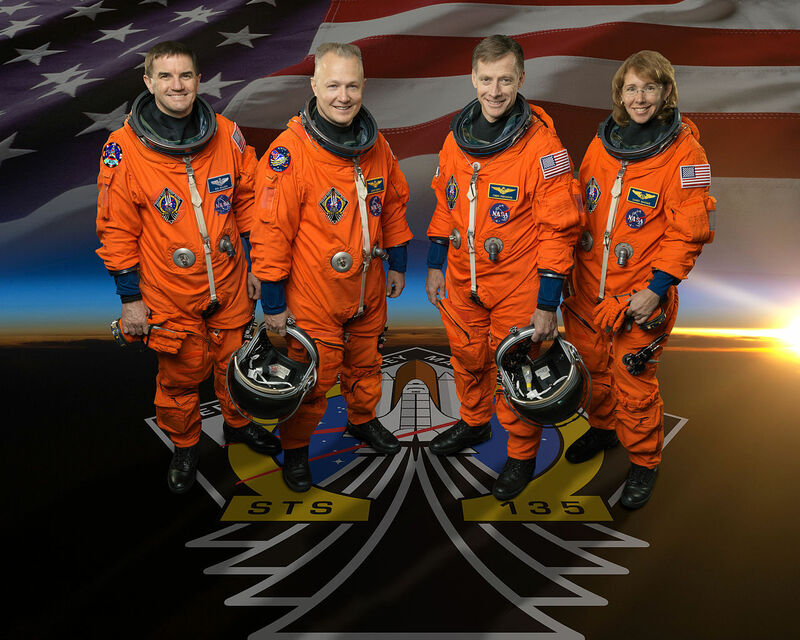 There were three mission specialists on this flight: Colonel Chris Austin Hadfield, Royal Canadian Air Force; Colonel Jerry Lynn Ross, U.S. Air Force; and Colonel William Suries McArthur, Jr., United States Army. 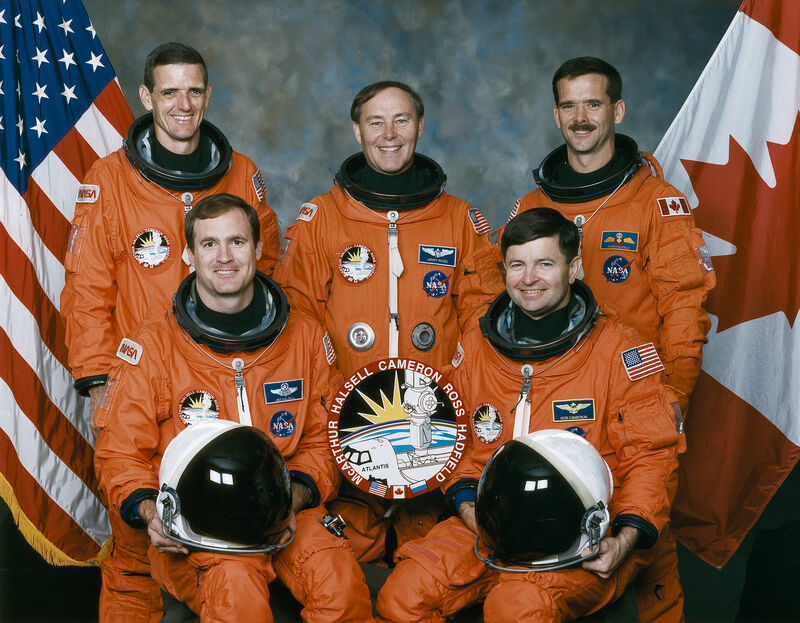 Colonels Cameron, Halsell, Hadfield and McArthur had all been military test pilots before joining the space program. 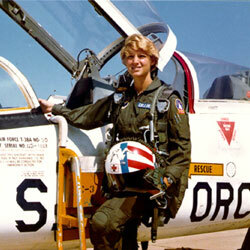 Colonel Ross was a flight test engineer. 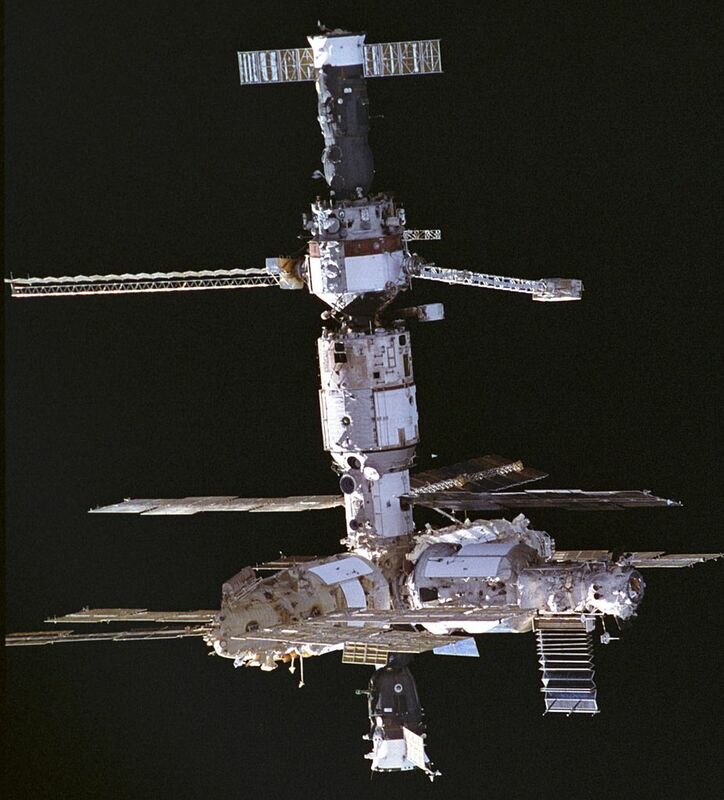 Mission STS-74 was the second orbital docking with the Russian space station Mir. The astronauts installed a docking module which had been carried in Atlantis‘ cargo bay. 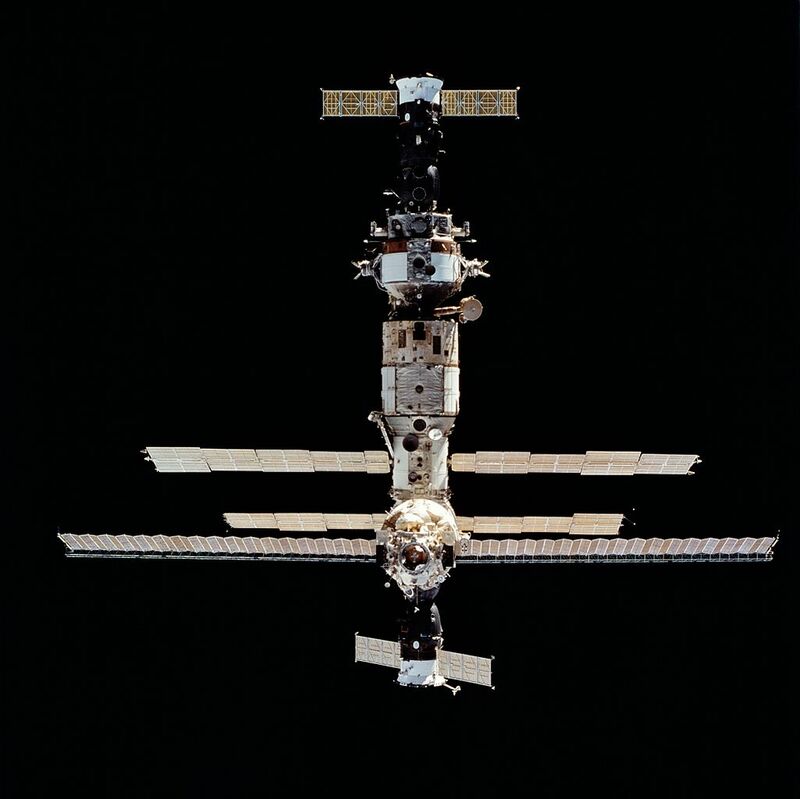 This allowed the shuttle to dock with the space station, and supplies and equipment were transferred during the three days the two spacecraft were docked. Atlantis landed at Kennedy Space Center 12:01:27 p.m., EST, on 20 November. 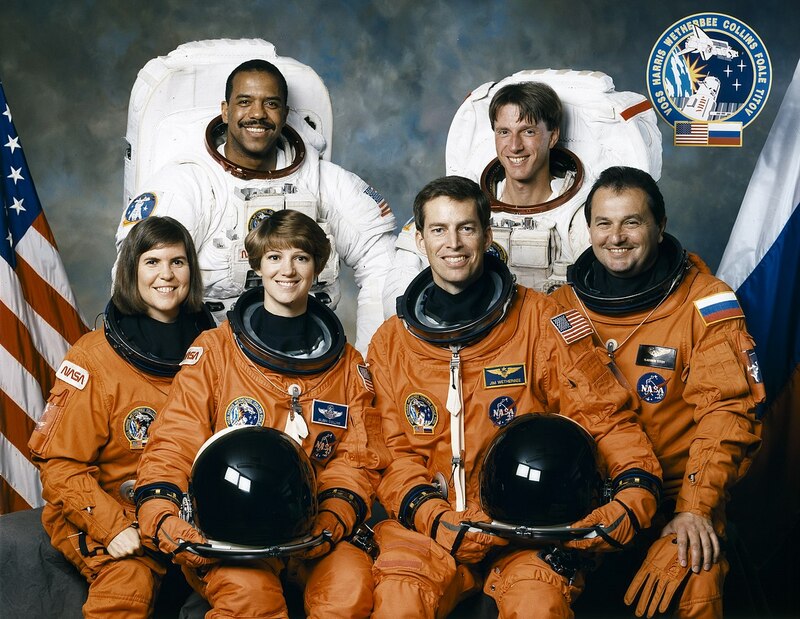 The duration of the mission was 8 days, 4 hours, 30 minutes, 44 seconds. 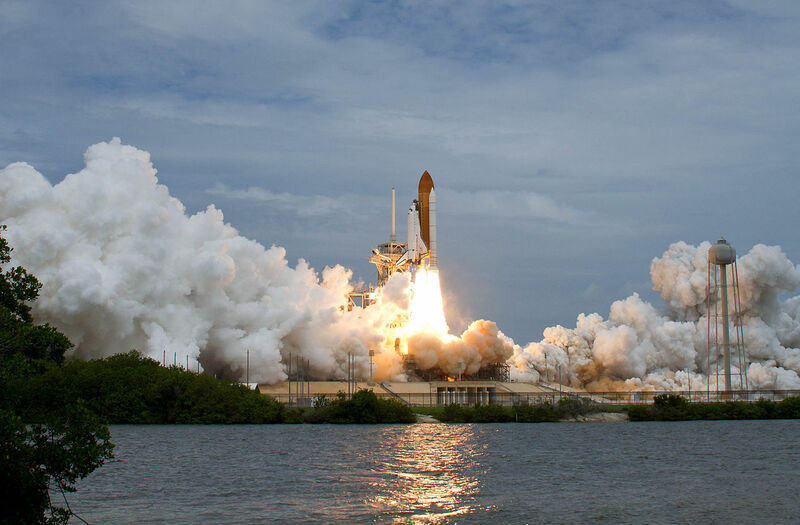 8 July 2011: At 11:29:03 a.m., Eastern Daylight Time, the Space Shuttle Atlantis (OV-104) was launched on Mission STS-135 from Launch Complex 39A at the Kennedy Space Center, Cape Canaveral, Florida. This was the very last of 135 flights for the United States space shuttle program. The mission was to carry assembly modules and supplies to the International Space Station in Low Earth Orbit. The mission had a total elapsed time of 12 days, 18 hours, 28 minutes, 50 seconds. 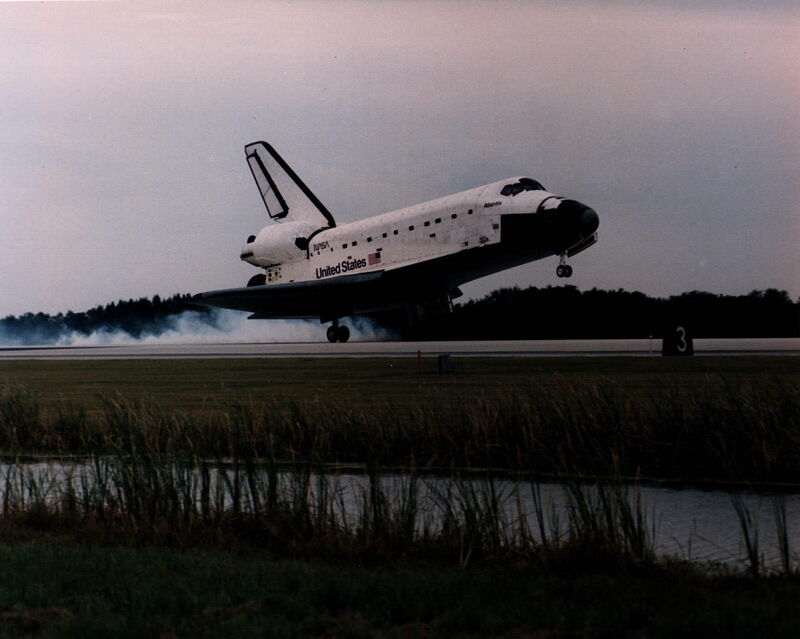 Atlantis arrived at the Shuttle Landing Facility 21 July 2011 at 09-57 UTC. 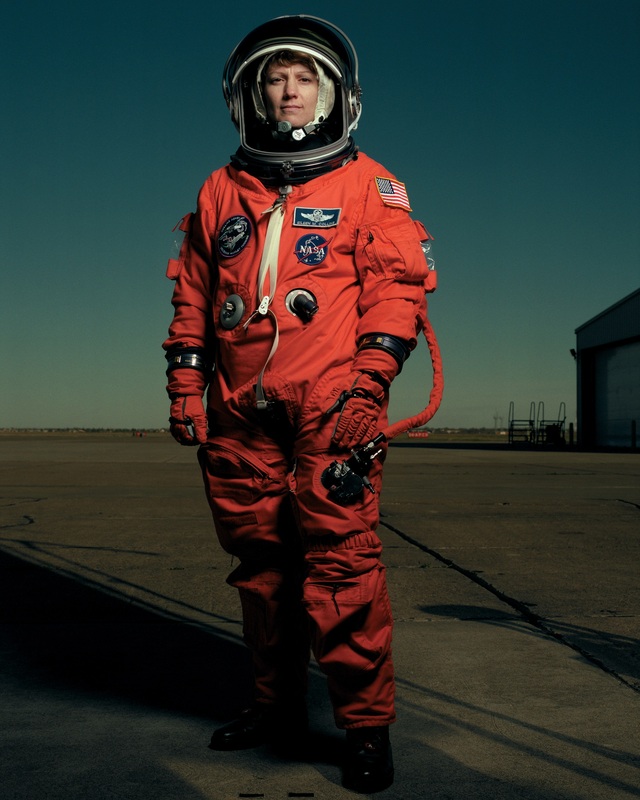 The mission commander was Captain Christopher J. Ferguson, U.S. Navy, on his third space flight. Atlantis‘ pilot for STS-135 was Lieutenant Colonel Douglas G. Hurley, United States Marine Corps, on his second shuttle flight. 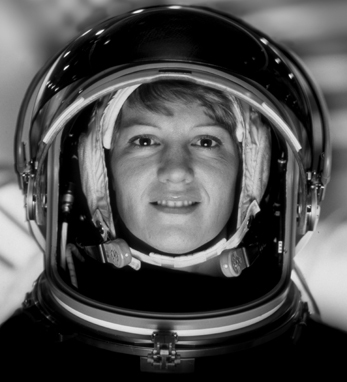 Mission specialists were Sandra Hall Magnus, Ph.D. and Colonel Rex J. Waldheim, U.S. Air Force. 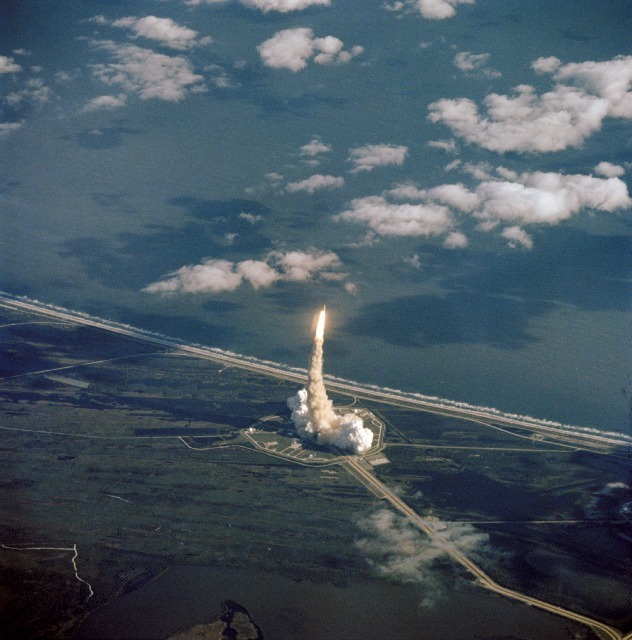 This was Dr. Magnus’ third space flight. 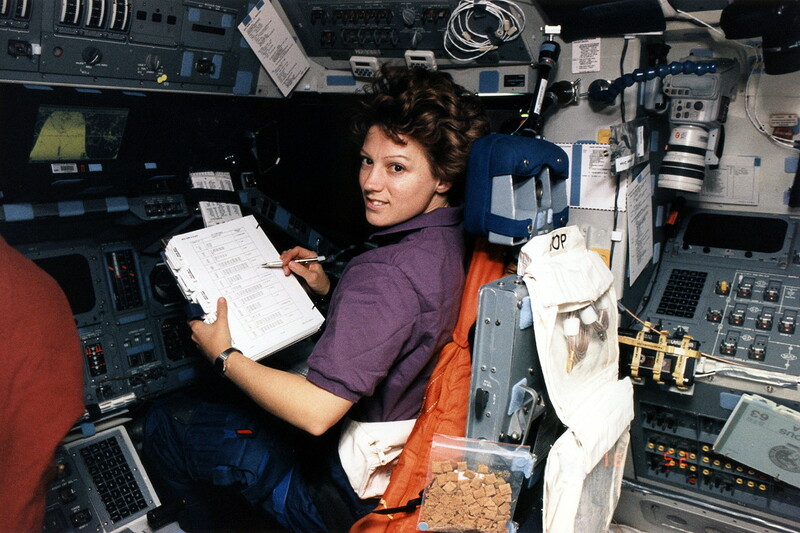 She spent a total of 157 days, 8 hours, 42 minutes in space. 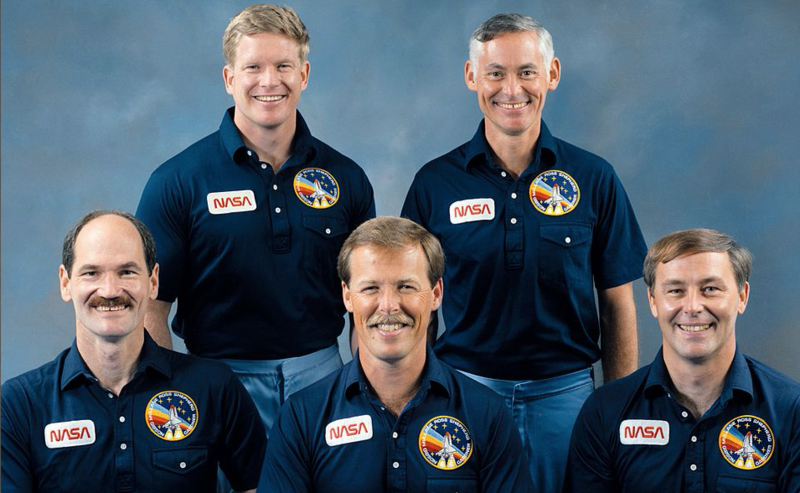 Colonel Waldheim, the mission flight engineer, was on his third shuttle mission. Shuttle Orbiter Atlantis first flew 3 October 1985 and made 33 space flights. It spent 306 days, 14 hours, 12 minutes, 43 seconds in space. Atlantis orbited the Earth 4,848 times and traveled miles 125,935,769 (202,673,974 kilometers) When it was retired at the end of STS-135, Atlantis had flown just one-third of its designed operational life. The space ship is on display at the Kennedy Space Center. 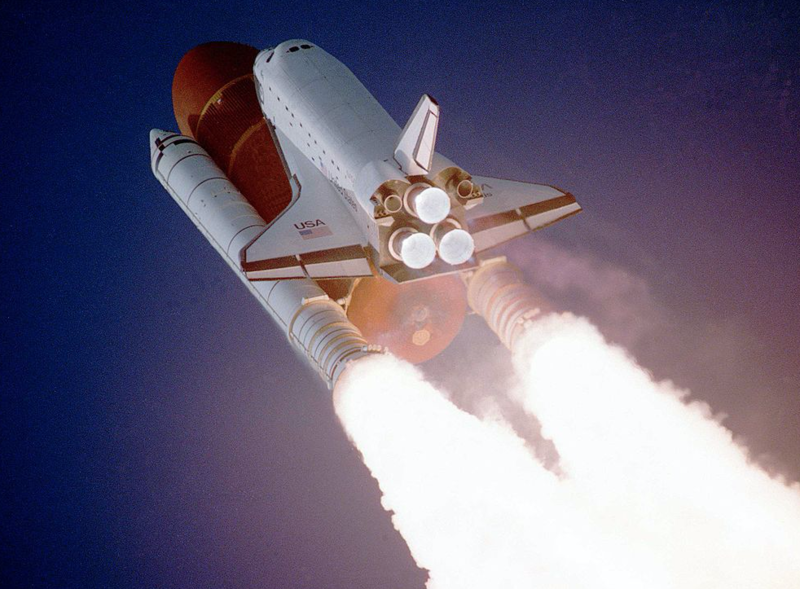 Since the space shuttle fleet was retired, the United States of America has had no manned spaceflight capability.